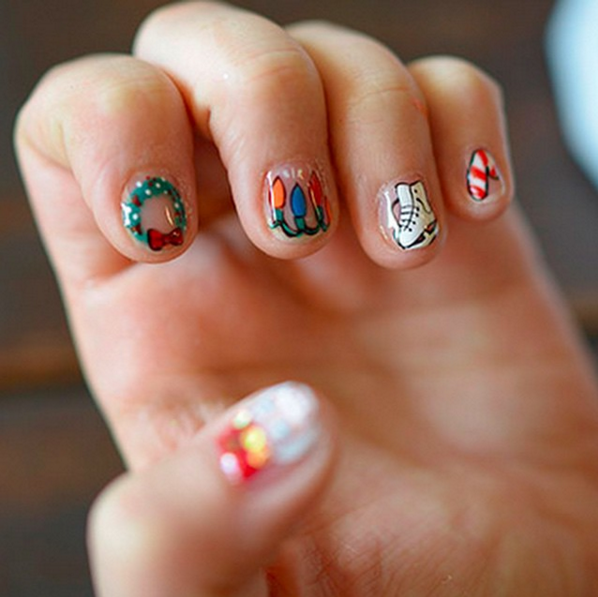 Gorgeous nail inspiration for the ultimate Christmahanukwanzaa—whatever you celebrate—mani! Change up your french mani and opt for dark tips with a metallic base. If you're obsessed with Van Gogh's "Starry Night", then you'll love this impressionist holiday mani with pops of gold, green and red. 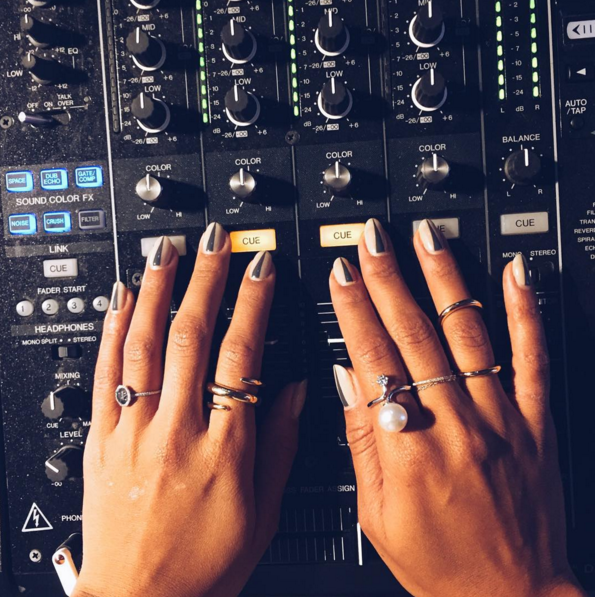 Step into the new year with a manicure that's as awesome as your 2016 is certain to be. 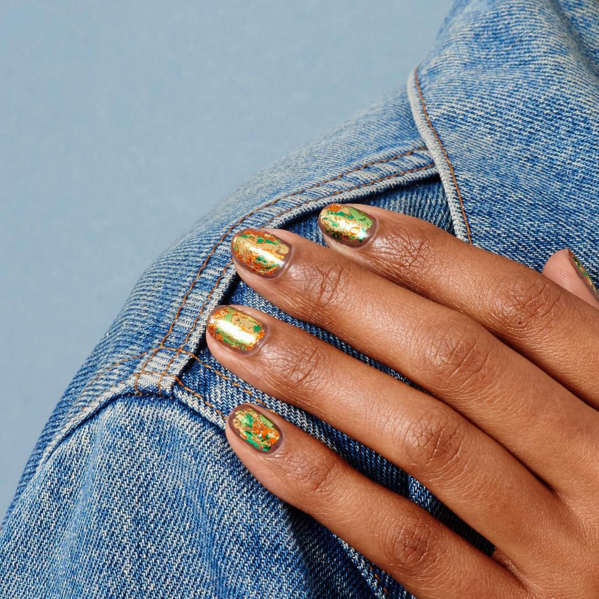 Top your nails with a reflective foil for a look with new world vibes. Tone down a foil mani by painting your tips with a neutral hue. For an extra edge, stay away from congruity and make your tips a little messy. 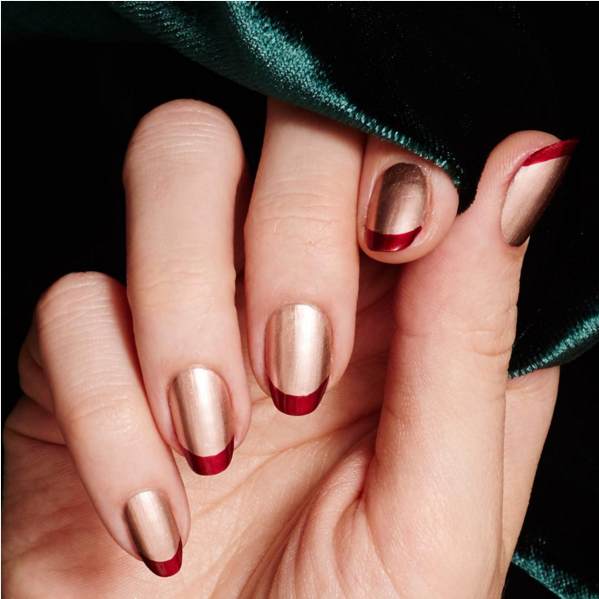 Tired of the usual red and green manicures you see around Christmas? 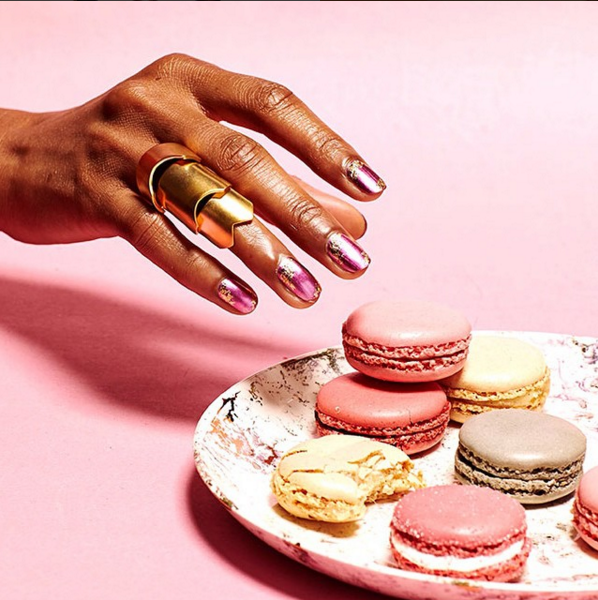 Ditch the drab for something fab like this magenta and gold mani. 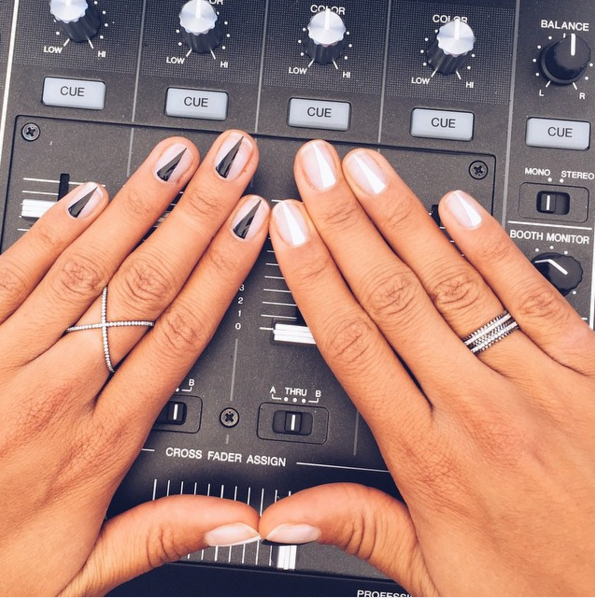 Nail art wasn't made for rules. If you can't decide between two colors, use them both! Start by prepping your nails with a base coat and follow it by creative graphic shapes with the two colors of your chose. Leave a bit of your natural nail showing for an added surprise. 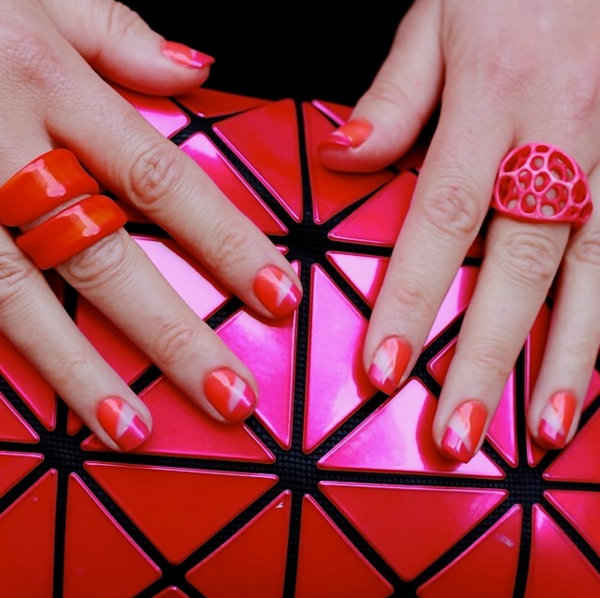 Choose a few of your favorite colors and accent your nails with graphic shapes. Spice up a basic manicure with a few graphic accents in different hues. If you're feeling artsy, only paint one hand. 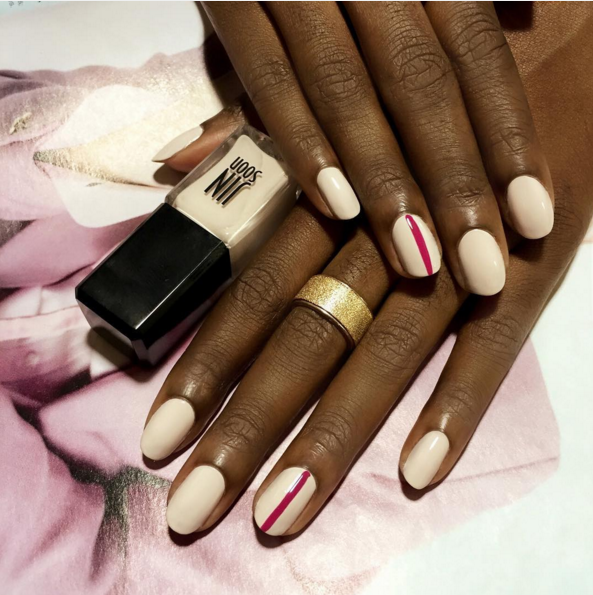 Amp up a cream mani with a graphic stripe down the center of your ring nail. 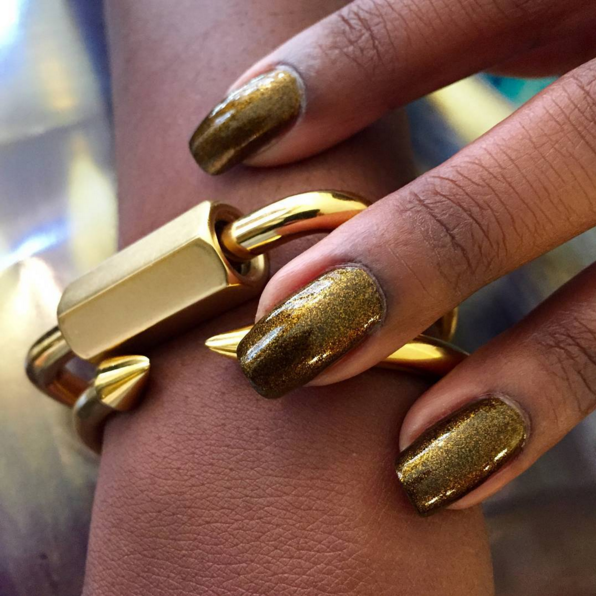 For the most luxe mani at your office holiday party, top your nails with bronze and gold. 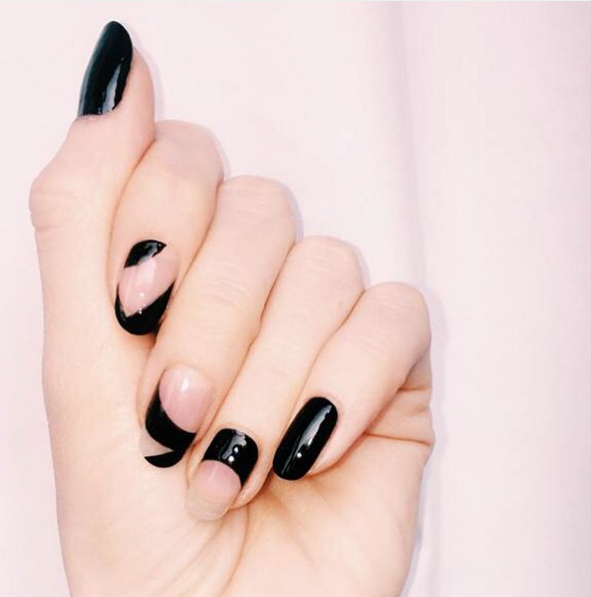 We're all about an asymmetrical manicure. Paint one hand red and the other hand cream, then add criss-cross stripes in contrasting colors. Glitter makes everything better; especially during the holidays. For a more sophisticated manicure, opt for a polish with a fine shimmer. 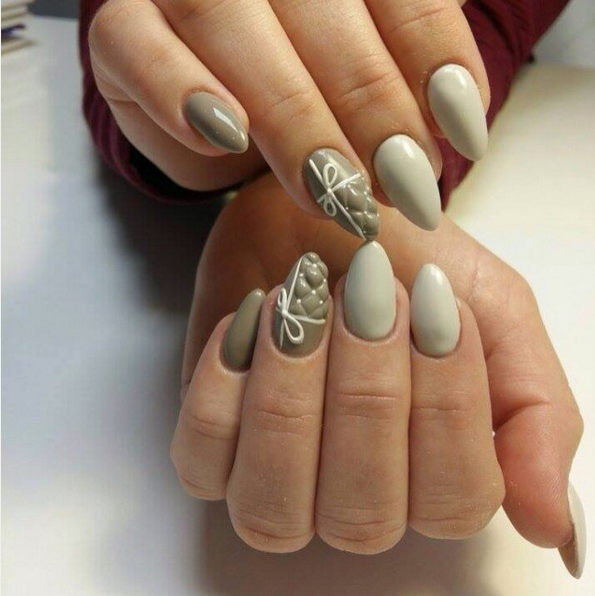 Still a fan of traditional nail art? Ask your go-to manicurist for something 3-D. This almond-shaped gift box design is perfect for December. 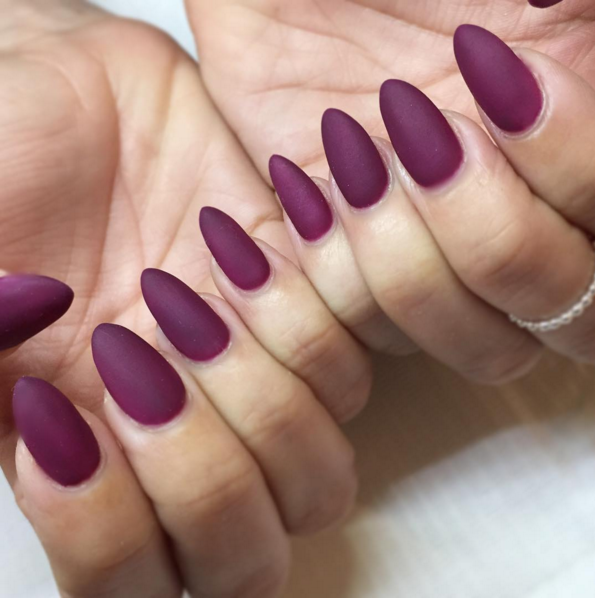 If you're not a fan of bells and whistles but you still want something fresh and chic, matte nail polish never disappoints. 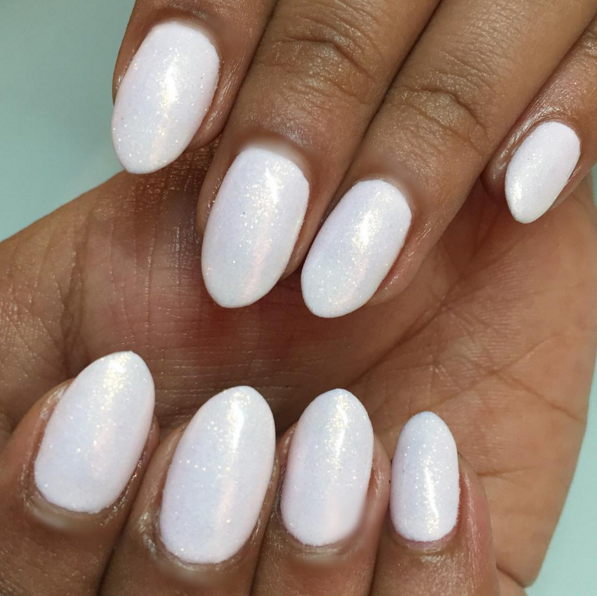 White nails get a fresh update with a hint of sparkle and an almond shape. Up the ante on a neutral mani with a few metallic foil stripes. 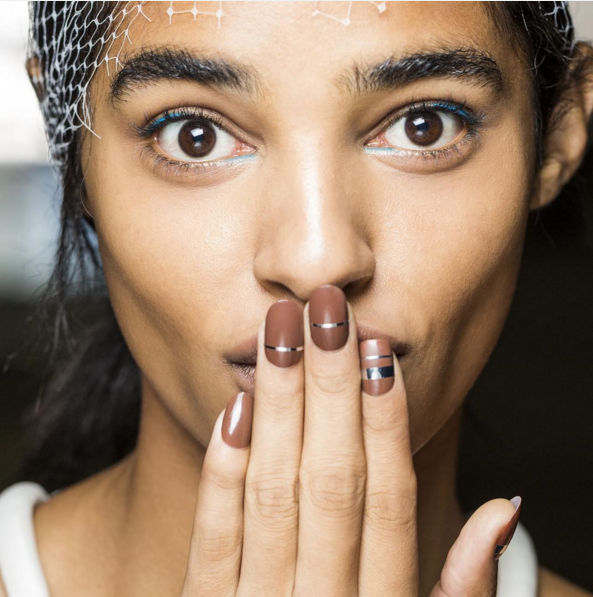 Get creative with your negative space mani and opt for soft lines like swirls. Symmetry is so last year! 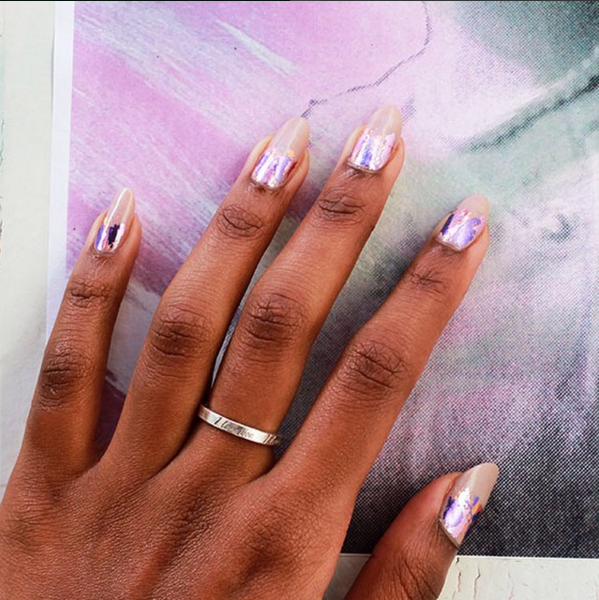 Not a fan of contemporary nail art just yet? Stick with what you know. We love a good Christmas wreath on our nails eveny now and then, too! 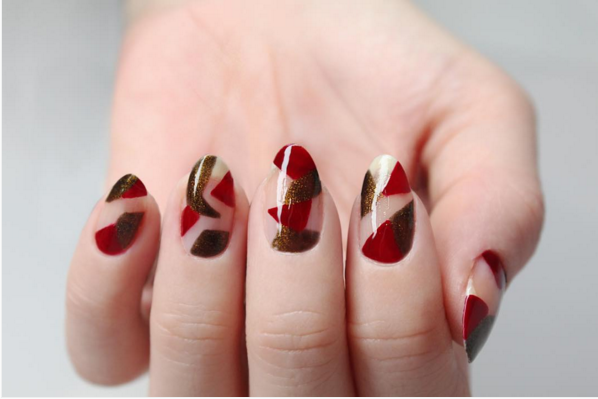 Let your nail art reach new heights by painting lengthening angles down the center of each nail. Use different colors on each hand for an added touch of edge. Play with shapes and metallics or soft hues for a look that chic and super casual-cool.